Sundance Film Festival attendees were the first to see a film that explores serial killer Ted Bundy through the eyes of his then-girlfriend, Elizabeth Kloepfer. 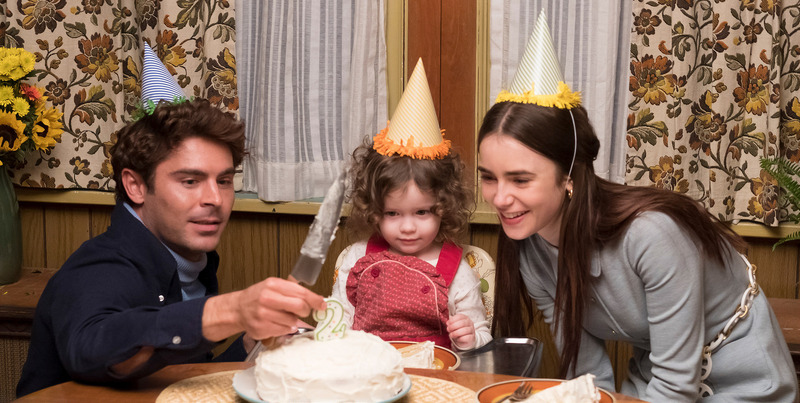 Directed by Emmy-winning filmmaker and documentarian Joe Berlinger, “Extremely Wicked, Shockingly Vile and Evil” stars Lily Collins as Kloepfer and Zac Efron as Bundy. The film received a positive response at its Jan. 26 premiere, with notable publications like The Guardian, IndieWire and Variety giving it a favorable write-up. In a mysterious but likely intentional confluence, the premiere of the movie took place just three days after the 30-year anniversary of Bundy’s execution. In addition, premiering at Sundance means the film made its debut in the state Bundy was first apprehended in. However, as many familiar with Bundy’s story know, his connection to Utah is morbid and closer to home than many might like to recall. A University of Utah law student from 1974-75, Bundy lived in a secluded residence past the Hogle Zoo, exhibiting a normal, placid life, even seeking involvement in The Church of Jesus Christ of Latter-day Saints. However, Bundy didn’t take long to strike and never had to venture far to find his victims. Missing or murdered Utah women that have been linked to Bundy include 16-year-old Nancy Wilcox, in Holladay; 17-year-old Melissa Anne Smith, in Midvale; 17-year-old Laura Ann Aime, in Lehi; 17-year-old Debra Jean Kent, in Bountiful; and 15-year-old Susan Curtis, who disappeared at an LDS youth conference at Brigham Young University. The disappearances of three other women from Salt Lake City and Layton were consistent with Bundy’s target victims and whereabouts, though the murders were never officially pinned on Bundy. Bundy had confessed to 30 murders across seven states but one potential victim, 18-year-old Carol DaRonch, escaped Bundy’s grasp in a kidnapping attempt at the Fashion Place Mall in Murray. When Utah Highway Patrol trooper Robert Hayward pulled Bundy over for a routine traffic stop, a search found a series of suspicious items that included a mask, handcuffs, rope, trash bags, and a crow bar, opening a case in which DaRonch was able to identify Bundy. Bundy’s reign of terror ended when he was sentenced to death in the state of Florida, where he was executed Jan. 24, 1989. A new series, “Conversations with a Killer: The Ted Bundy Tapes,” executive produced by Berlinger, is now on Netflix and reveals a more thorough look into the charismatic monster and enigma that Ted Bundy was.